AUTO TRADER – WordPress Theme is a stunning, responsive auto WordPress theme excellent for an online vehicle marketplace or an auto motor magazine or blog. It has built-in no less than 3 different sliders for you to choose from: the first one has great animations for the text accompanying the images, while the 2nd and 3rd sliders are a bit more static but can incorporate videos. Bikes and Accessories Store WooCommerce Theme was crafted for cars, motorcycles and bike websites. It has a moderate yet catchy design, advanced online store functionality and all that’s necessary to make your future online presence sales-centric. When landing on your homepage visitors will be engaged in your sales funnel by means of newsletter popup, which will help you to build your first email list on the fly. Social options will help you to spread a word about your bike store all around the web. Ajax Cart can be used to add desired products in an instant and get back to shopping without reloading the page. 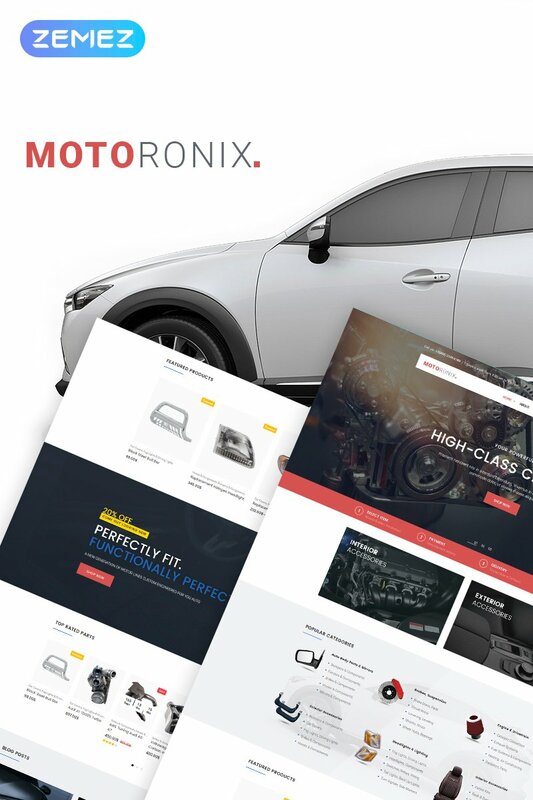 EXPER auto – Auto Repair Services Fully Responsive WordPress Theme is a simple, fast and good-looking Fully Responsive WordPress Theme for your future car services website. It will allow you to start your business with a fully-functional website. With this theme, you’ll get different layouts with multiple pages with adjustable elements to make your future site look really unique. This WordPress theme offers nearly endless website customization possibilities with various widgets. These widgets will allow your customers to easily sort your products by category, brand, price or rating to quickly find what they are looking for. Rentallo – Farming Equipment & Machinery Rentals WordPress Theme- airy and well-documented Car Rental WordPress Theme will ideally fit for the promotion of your farming equipment. Supplied with multiple header and footer options it can be customized in line with your corporate identity and personal preferences. Just make use of WordPress Live Customizer and enjoy the unique look of your future online presence. Integrated responsive slider can be used for a catchy presentation of your services. Using rich UI kit you will be able to enhance your site with various useful static and dynamic elements. Schema Lite WordPress Theme is a 100% FREE WordPress theme that is highly flexible and fit for use in multiple projects. It is creatively developed with excellent SEO features and lightning fast speed. It also has fully integrated schema markup to improve your site ranking. It is the free version of one of our most popular themes i.e. Schema. It has a minimalistic design that improves speed and ensures visitors focus on your content. Schema Lite is a multipurpose WordPress theme that is fit for a broad range of projects.